This week has been filled with moments of meeting up and spending it with people who matters. These past few weeks that I’m back, I’ve not felt confident enough to reach out to them. This is largely because I’m worried that I’ll be getting in their way. I understand that I’m currently not preoccupied with anything substantial in life while their time is currently filled with juggling the responsibilities of earning a livelihood and spending time with their family and friends. You know, important and meaningful things. Thus for reasons of not wanting to border on being a nuisance and getting in their way, I’ve refrained from reaching out to them. So to have them still texting me and this week, really blocking out their time to spend it with me before I fly off is really something I am so grateful for. As such, this week was filled with moments whereby I actually interacted more AND the most with people as compared to the past two months! Wednesday was spent with the colleagues. It was so great to spend time with them again and catching up over snacks, tea and Korean drama. Hahah. I really do not know what has taken over my colleagues but lately, they have been into Korean dramas that I suddenly have so many people discussing drama plots with me. Our meetup was held at PC’s new house whose design I was absolutely impressed with. The day ended with a car ride from Kak Su where the two of us engaged in deeper conversations away from the group. Friday was spent with the bffs. Dinner, conversations and lots of laughter. It always feels so great to be spending time with them again. They’re one of those people whom you can pick up interactions from the last time you left off and I pray that He gives us more moments of friendship with each other, insyaAllah. Saturday saw me spending the time with the family. The whole family went out for dinner to celebrate mom’s birthday. Thereafter, we drove the youngest brother to USS where he had a ticket for himself (lol) to spend at the theme park. While he was there, the parents and I trawled the nearby Vivocity. There were sooooo many sales going on. If I’d not been on a budget, I’d definitely have snagged a few buys but for now, I’ve to discipline myself to strictly purchase only what I need and NOT want. Today, a Sunday, will see me meeting Fad at Bliss House. She has an event which she invited me to so yep, looking forward to that. So as the Sunday today unfolds and concurrently also essentially slowly drawing itself to a close, I have officially one more weekend left in Singapore. One last Saturday and Sunday to be with all that is familiar and very much a part of me, insyaAllah. I do not know whether Allah will give me another opportunity in future to spend another weekend at a location and among people I call Home. I pray that He will allow me the ni’mah of more time to do so, insyaAllah amin. For the past few minutes, the bffs and I have been texting each other and trying to make plans for tomorrow. We’ve decided that we should meet up at least once to twice every week before I fly off. As I did that, the thought that the two months of winter vacation is coming to an end crossed my mind. After tomorrow, I only have two more Fridays left in Singapore before I fly off to Seoul again. This is going to be the third time that I’m flying back to Seoul for my studies, insyaAllah. It really doesn’t get easier. Always, my mind will start worrying over whether I would get to see my loved ones and people I care so much for yet again. With life so fragile and unpredictable, I can’t help always thinking to myself and asking God this question: “Will I get to see them again?”. Unlike previous times, this time I’ll be flying back to Seoul alone. I always tell my parents that I’ll be okay in order to reassure them every time they asked whether they need to accompany me back to Seoul. However the truth is, I would love to have a familiar face(s) accompanying me on the journey. Whenever I imagined having to say goodbye to my parents at the airport and then making my way to Korea, I can’t help feeling so scared. I must’ve gotten used to having familiar faces with me accompanying me to another country. I didn’t realize it then but their presence gave me the confidence to embrace the idea of living alone and many kilometers apart from home. Plus, I’m always happy spending the few days with them in Korea before they fly back to Singapore. This time since I’m back in Korea a few days before school starts and the family isn’t around, I can’t help feeling a bit anxious whenever I think of how I’m going to spend the days before lessons begin. What’s making me more anxious: All the friends I used to hang out with have gone back to their respective countries. I am literally going back to a place where my friends are no longer there. That made me come to a realization. This winter vacation has been marked by many days of solitary activities. Since my family and friends are preoccupied with work and their own respective lives and responsibilities, I spent a lot of time by myself. I do not know how I managed to pass two months spending like 90% of my time on my own but I did. In retrospect, there is definitely a wisdom behind this. When I think about the potential scenario I will be living when I’m back in Seoul, I began to understand that these past two months of doing things alone is God’s way of preparing me for life in the next few months. Really praying hard that two weeks from now, Allah grants me the strength to walk away from my family and enter the customs part of the airport, board the plane, make my way to my Seoul apartment and live the first few days without crying my eyes out. Amin. Thoughts related to this piece of paper have been lingering at the back of my mind for the past few days. Tomorrow is the deadline for submitting this request to sign up for classes for the winter semester. Yet, I’m still undecided whether to do this or not. Inside my mind, there exists now a file labelled “Why I should sign up for winter school vs Why I should fly back to Singapore for the winter vacation”. It’s a file I keep going to whenever I recall that the deadline is approaching and I’ve yet to make a decision. For now, the arguments for each of the options look something like this. I get to clear one more course as the requirement for graduation. It costs way cheaper than a flight back home. I solve the worry about lacking something beneficial to do for the next few months. I have been missing some people back home so badly and I’d want to be with them again. Looking at the list, it seems like I have more incentive to continue staying in Seoul. Additionally when I considered how the desire to be with the people back home is a one-sided affair on my part for I am fully aware that it’s not as if there is anyone who has been missing me and wanting to spend time with me, those are moments when I felt motivated to go ahead with the request to continue with the winter semester. One more day to decide whether I should submit this request. And then there is another alternative: Not going for winter school nor fly back to Singapore but to spend the 3 months of winter vacation exploring the whole of Korea! All these decisions to make. Sigh. It’s been almost one month since I last blogged. Tonight is one such time when I felt clear-headed enough to login to WordPress and blog. To sum up, these past few weeks have been pretty rough for me. It occurred to me as I’m sitting here and pondering on what to write that I do not let on to my family and close ones the full extent of how down I had been these two to three weeks. I guess that’s the thing about living so far away from them. With texting and calling being the only mediums of contact, it’s much easier to only reveal aspects that are positive and to make yourself come across as being fine. Firstly, it’s because you would rather focus on that. Secondly, the last thing you ever want is to cause unnecessary worry to the person on the other end. So, those nights which are too many to be counted when I cried myself to sleep. Or those moments when I sat on my prayer mat, the opened pages of the Quran wet with my tears? Times when I consoled myself to gather whatever strength I’ve left inside to compose myself, wipe the tears and get on with the day? Those are parts of myself that makes it much easier for me to withhold from the people back home. That aside, I’m currently feeling pretty… well, to describe it aptly, not entirely there and it’s due to various reasons. I need to vacate this apartment by end-November but the sheer amount of belongings I have, coupled with the thought that I have to pack everything all by myself with no help and then possibly courier back to Singapore some stuff when I just set up home back in August doesn’t excite me at all. Truthfully, I like this apartment very much and find this abode to be such a comfortable place to live in. However the reality is that I do not have sufficient funds to finance living in this apartment. Then there’s the lack of certainty of when I am able to fly back home. A huge part of me truly wants to go home for the winter vacation. Yet, I do not have sufficient funds to purchase a flight ticket for myself. Which leaves me to the next alternative: sign myself up for winter school. Honestly, the only reason why I would want to sign up for winter school is because it costs way cheaper than a flight back to Singapore. 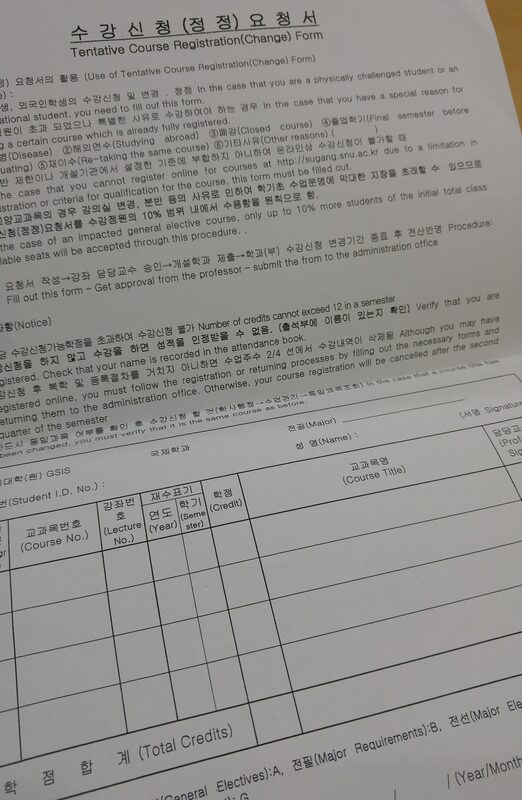 For about $150 as compared to a flight ticket that costs almost $800, I get to clear one more module as part of the requirements for graduation. Not only that, I would solve the worry of coming back home to Singapore with the prospect of lack of things to do. Seriously when I envisioned myself going back home with nothing to do and a lack of money to spend my days, I dread the idea of flying back even though I very much would love to be reunited with people there. I really pray that He grants me guidance for I really do not know which choices to make. And I pray that He makes things clear for me for I have a feeling that deep down, I know what I exactly need and want to do however it’s clouded by externalities.